Trainer Ken Keys is keen to have another crack at the Coolmore Legacy Stakes in Sydney this autumn with Spanish Reef as he strives to get the mare a Group One victory. Spanish Reef showed she is in the right form with victory in the Group Three Schweppervescence Trophy (1600m) at Flemington on Saturday, a race the mare also won a year ago. Spanish Reef finished last in the Coolmore Legacy (1600m) for fillies and mares at Randwick in April last year after a successful Melbourne campaign which was highlighted by wins in the the Schweppervescence Trophy and also the Group Two Sunline Stakes at The Valley. The Sunline Stakes (1600m) later this month is again in the plans for Spanish Reef before attention is likely to again turn to the Sydney race. “We’ve trained her a bit differently this year,” Keys said. “We’ve left a bit in the tank. I think she was a pretty tired horse when she got to Sydney last year. “This autumn has been perfect. She has finally matured and she looks like a horse now. Spanish Reef had a winless three-start spring campaign and after two fourth placings in stakes races to start her current campaign, Spanish Reef returned to winning form on Saturday with a determined displayed under jockey Mark Zahra. 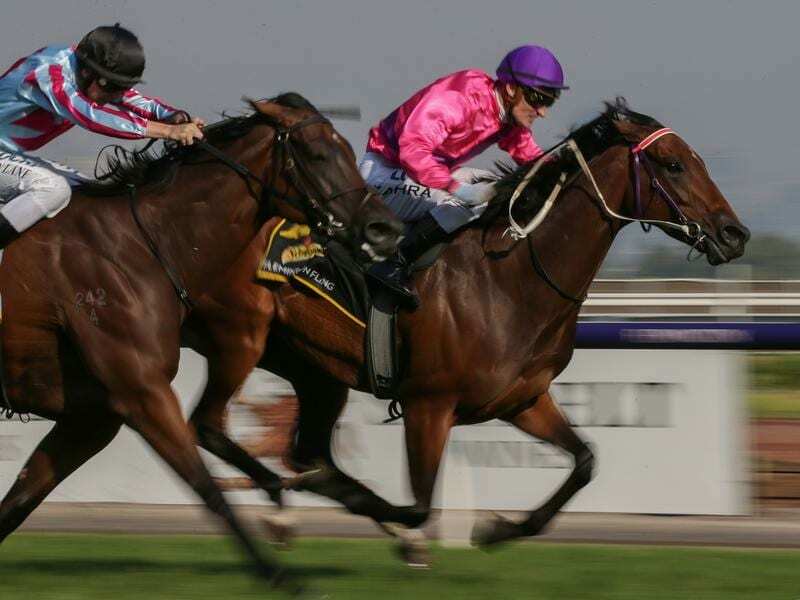 Spanish Reef ($5.50) sat just off leader I Am A Star before taking over approaching the 200m. The $2.70 favourite Naantali issued a challenge on her outside but Spanish Reef kept rallying to beat her by a half-neck with 2-3/4-lengths to third-placed Pure Scot. The Richard Laming-trained mare Payroll had to be euthanised after fracturing a leg during the race.